A dual chamber bottle is a highly effective container for the storage and distribution of a wide range of health and beauty products. A professionally designed and manufactured dual chamber bottle is an easy and proficient solution if you have been looking for an effective way to package a liquid and powder product into a single container. 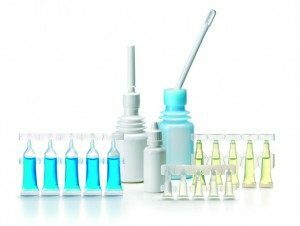 LF of America is a professional supplier of high-quality plastic containers for the pharmaceutical and health and beauty industry. Our company can supply you with precise dosage containers to help contain whatever products that you may be distributing. LF of America is the premier solution for companies looking for a packaging partner for medical and beauty products. At LF of America, we have extensive experience working with a variety of companies and helping supply them with the perfect dosage packaging for their specific products. LF of America can provide your company with a dual chamber bottle for any products that will require separation until the moment of use. The dual chamber bottles that we offer come equipped with a tamper evident cap and has quickly become of the most sought after products that we carry because of the distinctive and effectual applications they serve. Our dual chamber bottles have the ability to store both liquid and powder combinations or two distinct liquids within the single container. A dual chamber bottle from LF of America works by storing the two distinct materials in separate chambers until it is received by your customers. There is a reservoir which houses the powder or secondary liquid of your single product. Once the tamper evident seal is removed you are able to apply pressure onto the top of the cap which releases the contents of the reservoir through the compartment’s perforation onto the primary chamber that will be housing the main liquid. From here all the individual has left to do is agitate the bottle and the internal product is ready for use. If you have been looking for the most effective solution for health and beauty product packaging turn to our expert team at LF of America for assistance. 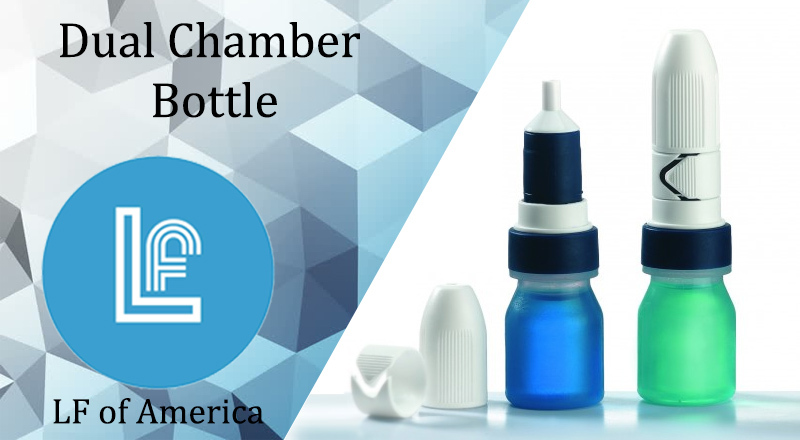 Contact our team at LF of America today with any questions regarding our dual chamber bottle design or to begin working with us as your company’s product packaging providers.